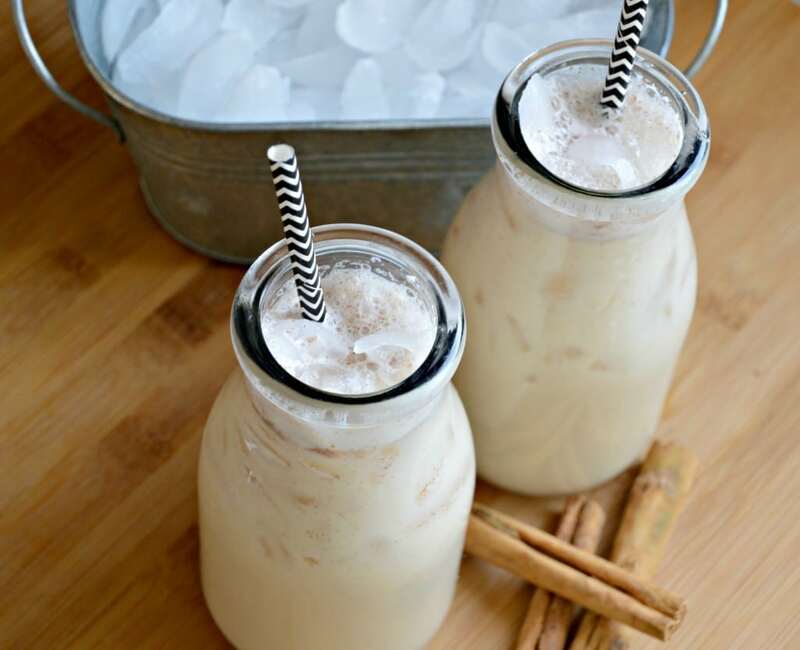 INSIDE: Learn How to Make The Most Authentic Horchata Recipe Using Ingredients That You Most Likely Already Have In Your Pantry. Horchata is a delicious rice (or coconut) based drink that you can find at most Mexican restaurants in the United States and abroad. The reason it is so popular is that it always adds a refreshing touch to any meal. I have yet to meet someone that has tried it without falling in love and being disappointed when it is gone. If you go to any Mexican restaurant, you can probably find some version of this delicious Mexican beverage. However, many of those are made from powder and don’t have that authentic taste. There are different varieties of Horchata throughout Latin America. If you have tried one version before and didn’t like it, you can always try another one and that might change. Today, I want to show you how to make a truly authentic version of horchata that I learned growing up in Mexico. It will take some patience and a little bit of preparation, but I assure you that the results will be worth it. Growing up in Mexico, Horchata was one of my favorite drinks to go along with my other favorite meals. What Can You Serve With Horchata? Horchata goes well with almost any Mexican recipe. Here are some of my favorites. 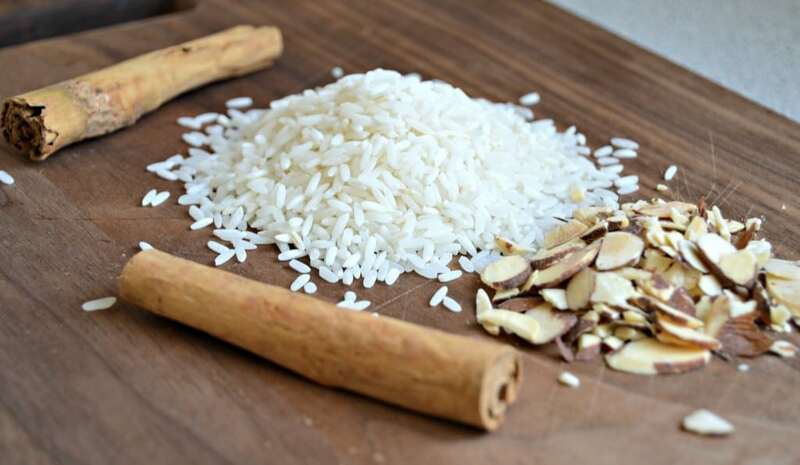 One of the great things about a good horchata recipe is that you can add different ingredients to it to change the taste. For example, many people add shredded coconut or almonds. You can also use different varieties of milk such as almond milk. Like I said above, there are many different versions depending on the country. 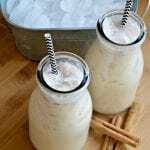 The recipe that I am sharing today is my favorite way to make horchata, but that doesn’t mean that you can’t switch it up a bit. What Does Horchata Taste Like? You are going to find out for yourself pretty soon what this delicious drink tastes like. However, if you are curious, you will be happy to know that horchata is smooth and rich, and has just the right amount of sweetness. If you want to get the smooth, rich flavor, then you want to make sure that you follow these instructions perfectly. I have so many memories growing up of going to the local taquerias with my siblings and other family members. Part of those memories consists of ordering street tacos with a side of delicious authentic Horchata. It was always a hit and something that I will always remember. Although I don’t live in Mexico anymore, I still am able to keep these memories with me by making these recipes and sharing them with my family here. Even though I prefer to make homemade horchata, I will still try just about any version that I can find when I go to Mexican restaurants. Some are better than others, but they all remind me of Mexico. How Do You Make Horchata? I mentioned above that making this recipe will take some preparation. The good news is that it is easy to make. In fact, you probably already have all of the ingredients that you will need in your kitchen. If you don’t already have them, don’t worry – they are easy to find and are very inexpensive. 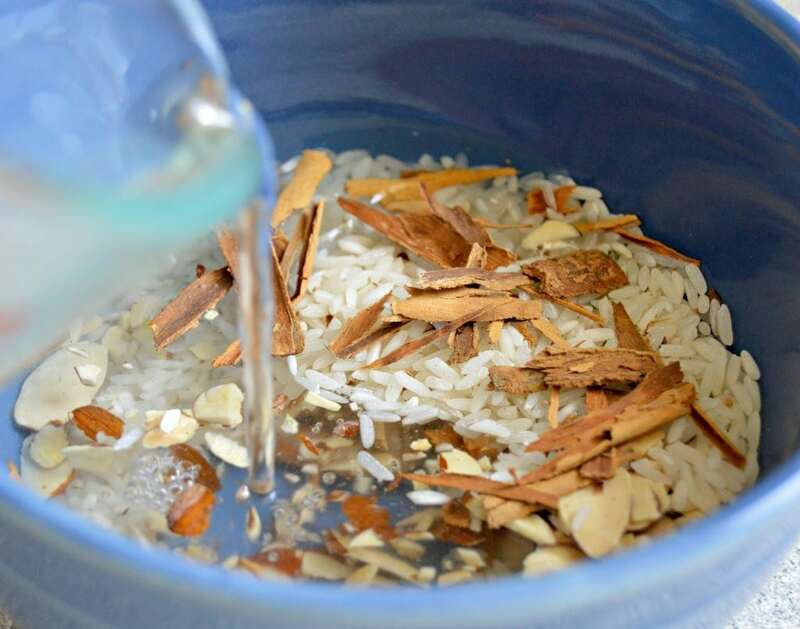 It takes a while to soak the rice, cinnamon, and almonds in water for an extended period of time. That is so that you can ensure that all of the flavors are perfect. The best way to do this is to start soaking the ingredients the night before. That way, you can sleep instead of just standing around waiting for this delicious drink to be ready! Once you have soaked the ingredients long enough, the next steps are pretty easy. You will need to strain the water, and then blend the ingredients together with evaporated milk. It is important to strain the resulting mix using a fine mesh strainer to avoid a gritty texture. It is still delicious, but I personally prefer a smooth taste. I am so happy that you found this recipe. I really hope that you are willing to put the time and effort into making it. It may not be something that you make every day. That said, it is perfect for special occasions like Cinco de Mayo, Memorial Day, Thanksgiving, and New Years. No matter when you make this recipe, everyone will love it and will be asking for the recipe. If you are feeling adventurous and are ready to try this authentic recipe, check it out below. I promise that you won’t regret it! Fine Mesh Strainer: This is one of the most important things that you can get when making horchata. You have to strain the rice and almond pieces after you blend it. To avoid a grainy texture, you will want a fine mesh strainer. You can get one of my favorites here if you don’t already have one. Blender: You will need a good blender to make sure that you break everything down as much as possible. I use this one, but you can really use any high-quality blender. Large Drinking Glasses: Horchata is good no matter what, but it is even better drinking it from a large glass like these ones. I add a straw and lots of ice and it is delicious! Large Bowls: You have to soak the rice and other ingredients overnight for this recipe. That is why it is important to have large glass bowls. You can use any glass bowl that you have, but make sure that they are high quality like these. 1 1/3 cup sugar adjust depending on how sweet you want - 2/3 cup of sugar if you want it less sweet. Strain the resulting liquid into a pitcher, and add the sugar, vanilla, and milk. Mix well until everything is well combined.Add a liter of water, and serve with ice. Enjoy! I need to use agave syrup instead of evaporated milk. How much would you recommend that I use. I just buy vanilla rice milk and instead of almond milk ( bc my daughter has nut allergies) I use coconut milk. Evaporated milk isn’t sweet , condensed milk is. I use both so I add less sweetener and it’s creamy.